We get it. You don’t want to spend too much time in the frozen north. Temperatures are already plunging, and snow could start falling at any time, if it hasn’t already. When you see winter, wonder not where you’re going to spend your time. You’re always welcome here at the Stella Mare RV Resort for the winter in Galveston. Texas is a warm weather haven for those who tire of a place where the air hurts your face. Starting on November 17th some of the Winter Wonder Island events will be starting. One event is Ice Land: Pole-to-Pole at Moody Gardens. 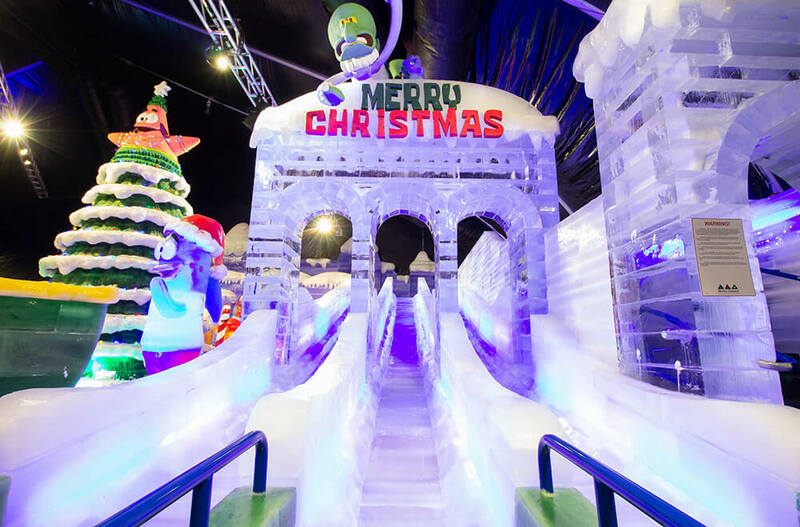 Here you can see the amazing work that a skilled team of master ice carvers have done to create a giant glacier slide and to create a winter journey from North to South Pole. Also starting on the 17th is the Festival of Lights at Moody Gardens. A mile-long trail, it features over a million lights and lighted scenes. You can also experience the area’s only outdoor skating rink. It is the Thanksgiving season and you might find yourself missing the traditional Thanksgiving dinner. Fret not, for you’ll find a number of restaurants happy to serve you. Traditionally, you can find great dining at places like the San Luis Resort, the Hotel Galvez Bar and Grill, and Moody Gardens Garden Restaurant. For some of these restaurants you’ll need to book well in advance as seating is limited. Checking as early as you can in November is going to ensure that you the Thanksgiving experience, you’re looking for. The Stella Mare RV Resort, the quality leader in the Galveston area, is a new resort located across from Galveston Beach and is a great way to start your winter in Galveston experience! You can find out more about the great amenities by clicking here. Save your spot with us today at stellamarervresort.com.